Rich in Protein and Flavour! Available in tasty white cheddar and NEW tomato and basil flavour, Whey Thins are convenient savoury snacks packed full of protein and taste. With 418 kJ per individual pack, these tasty treats satisfy cravings and provide the extra support you need to maintain weight loss and lean muscle mass. Loaded with premium protein, healthy fats, good carbohydrates, and a cheddar or tomato flavour that’s hard to resist, new Isagenix Whey Thins are an ideal snack any time of day. There’s nothing worse than a mid-day craving to derail your diet. When you’re sitting at your desk at work or just finishing up a workout and all you can think about is grabbing a cookie, you can reach for low-calorie Isagenix Whey thins instead! These crispy snacks are great for everyone looking to lose weight with Isagenix. They are soy and gluten free. They are only 100 calories per serving, so you don’t need to worry about consuming too many calories when it’s time to grab a snack. Many snacks are just empty calories: they fill you up with sugar or refined carbohydrates that may satisfy in the short term but send you crashing soon after. These snacks also derail your weight loss efforts by keeping your body from burning fat. These Whey Thins, on the other hand, contain 10 grams of protein to fuel your body and help you build lean muscle. They also have 3 grams of good fat that contribute to a well-balanced diet. You’re probably thinking that such a healthy snack can’t possibly taste good. 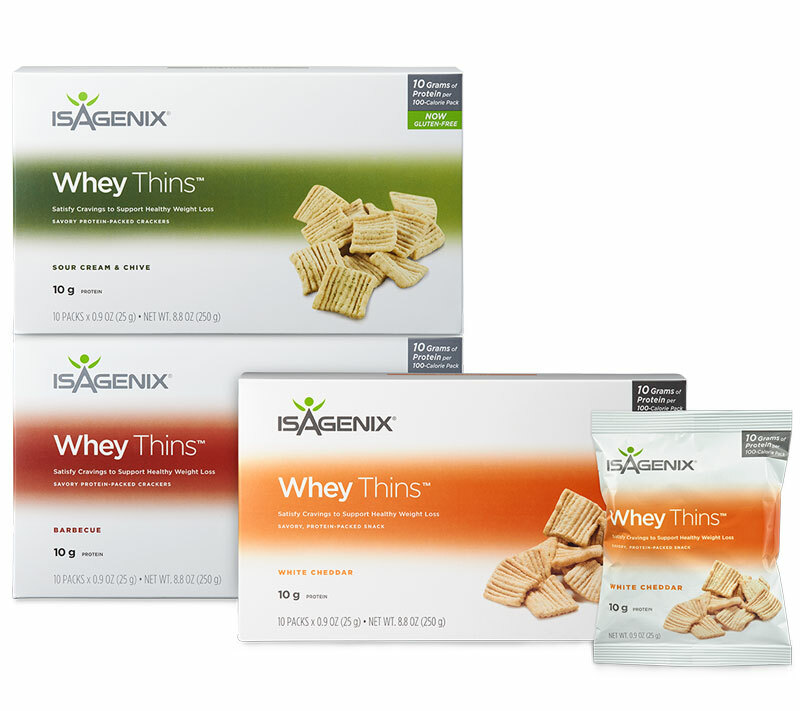 Well, luckily for you, Isagenix Whey Thins are available in two delicious flavors: white cheddar and tomato and basil. These crispy treats contain only the best carbohydrates and protein and 0 trans fats. Many products that are high in protein contain hydrogenated vegetable oil, which can be harmful to your heart health. These Whey Thins are completely free of these harmful trans fats, energizing you with only healthful, natural ingredients. In between your IsaLean shakes and bars, you may find yourself in need of an extra boost. Instead of reaching for something high in calories and low in nutrition, Isagenix Whey Thins are a convenient and tasty alternative. Instead of filling up on junk food, you’ll satisfy your cravings while getting your daily dose of protein and amping up your metabolism! Finding high-protein, low-carb snacks can be hard to find, let alone ones that actually taste good! Well, not anymore. Flipping the script on the healthy snack market, Isagenix Whey Thins not only taste great, but they’re high in protein, contain zero trans fats, and only have 100 calories per serving, making them the perfect guilt-free snack! Each individually packaged serving of Whey Thins contains 10 grams of high-quality protein and only 100 calories per serving. High protein and low carbs is an essential combination for healthy weight loss and proper muscle maintenance. They are made of a perfectly balanced blend of whole grains, giving you nothing but premium nutrition at a moment’s notice. These tasty protein-packed snacks are also soy free and contain no trans fats. Isagenix is all about improving your health, not harming it. 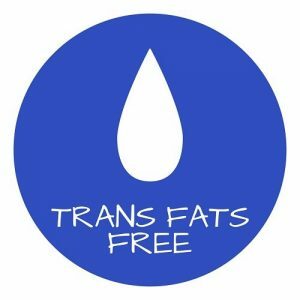 Trans fats lower good cholesterol and raise bad cholesterol. Isagenix Whey Thins contain absolutely zero trans fats, so you can enjoy a savoury, guilt-free snack whenever you want. Power lifters and bodybuilders aren’t the only ones who can benefit from the power of protein. Proteins are your muscle’s building blocks. 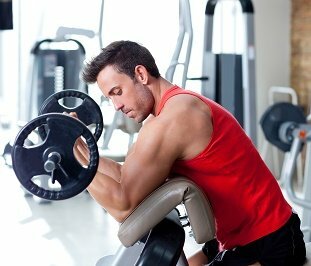 Each and every muscle fibre in your body is dependent on protein for growth and maintenance. Without it, you risk suffering an injury or illness and your muscles not only shrink, but they don’t receive what they need to self-repair. The protein in Whey Thins also helps you feel full and satiated for longer, making you less tempted to reach for the chips or other unhealthy snacks in between meals. While getting enough protein can be tricky if you’re on a low-calorie diet, keeping a box or two of these tasty and healthy snacks around your home or work will help you get your daily protein fill, boost your metabolism, and feel as good as you look. Eating a high-protein diet is the key to losing weight and maintaining lean muscle. You may never have expected to get your protein from cheddar flavoured crackers, but Whey Thins have the high-quality protein you need to look and feel your best. Many protein snacks contain hydrogenated vegetable oil, which is loaded with harmful trans fats that can lead to weight gain and serious cardiovascular issues. Over time, eating trans fats can lead heart disease, diabetes, and more as well. Whey Thins contain zero trans fats or artificial flavourings. These 100 percent all-natural heart healthy snacks taste great and are one of the best snack options around! Who says losing weight can’t taste great? Not Isagenix! White Cheddar or Tomato Basil Whey Thins are low in carbs, completely free of trans fats, and are packed with high-quality protein, which is a rare combination seldom achieved in today’s unhealthy snack market. With 10 grams of protein per serving, you’ll stay fuller for longer and be able to resist the temptation of junk food and other unhealthy treats. Plus, they’re only 100 calories per serving, so a much better alternative than most other snacks. While they’re not designed as a complete meal replacement like IsaLean Shakes and Bars, Whey Thins are an ideal snack to enjoy in between meals, shakes, or anytime you want. Whenever you have a craving for something savoury or need a healthy boost, protein-packed Whey Thins won’t let you down!